As Netflix aims to make history at this year's Academy Awards, dramas produced by China's incredibly popular streaming services are finding their way onto traditional television channels. This year, more than 120 online productions are expected to be broadcast on satellite stations nationwide, a tenfold increase from last year. Two years ago, a dama named "Go Princess Go," was released online and secured over three billion views, triggering the rapid growth in internet theater. The genre has become so powerful that streaming shows are now even cutting into the viewership of traditional TV dramas. 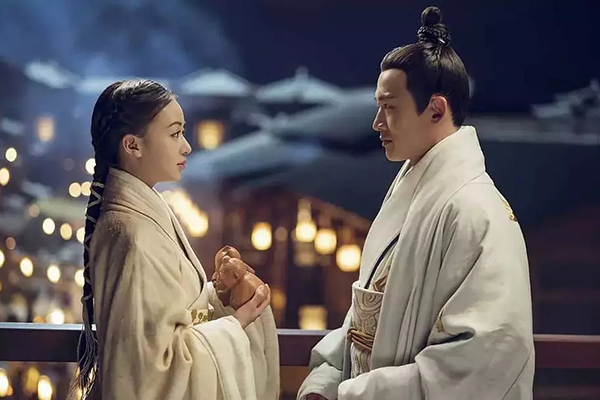 Just this past year, the series "Story of Yanxi Palace" got 25 million views on iQiyi the night it debuted. The blockbuster success led to sales to domestic satellite TV stations, and to showings on Hong Kong TVB where it became the highest-rated drama of the year. Other internet productions are following the same pattern, and the key to their success has been their quality. "The production quality of many internet dramas has improved and come up to the standard of traditional dramas," said one viewer. So while in the past it was TV dramas that made their way onto the internet, things have turned around. Changing viewing habits has led producers to put more money into streaming and that is what has helped them take their place on the big as well as the small screens. "The high investments in internet dramas are what have gotten them all the attention, and that gives them a say in what appears on the satellite TV stations," said Qi Wei, deputy professor of Film Academy of Shanghai University. "What we see now is first showing on the internet, and then on the TV networks. This is a turnaround where the online dramas help out traditional TV." All this may appear to challenge the traditional broadcast industry. It may seem a smart business choice for content producers to choose the internet as their means of distribution. But some producers believe China's urbanization actually encourages co-broadcasting on both the internet and television to reach the largest audiences possible. "China is a unique market because its traditional movie and TV markets are developing rapidly as well, especially with the urbanization. Large cities have different development paths from lower-tier cities. So we do both ways," said Frank Zhu, CEO of Pearl Studio in Shanghai. However you distribute the content, there is no doubt that China's entertainment industry continues its high-speed growth. There are over 60,000 companies turning out entertainment products of one kind or another. In the first nine months of last year, they earned over six trillion yuan, nine percent more than in the same period in 2017.